Family owned manufacturer of quality dry dog foods and small animal foods. Quality Foods at Affordable Prices. A first class service, with a quick order turn around. Importantly our collie enjoys her meals and her movements appear more fluid. We're on our second 10kg bag of working puppy food, we have a 4 and a half month old Springer spaniel, and he loves it, always full of energy and lots to learn as he'll be a semi working dog, can't recommend this food enough. And a bonus is they're always very quick to deliver a d free delivery which is very rare these days. Very fussy eater. Found Sneyd’s Wonderfeed at a Country Show and our fussy Springer loves it! He has a beautiful coat, boundless energy and his weight is never a concern. Next day delivery is fantastic! Any queries are answered by staff immediately. Would highly recommend. My dog loves this food & it’s always fast delivery & great service from the team! Really great value for money! Brilliant for my girl who suffers from EPI ( exocrine pancreatic insufficiency) finding a food with the correct ingredients that suit her is always an upward battle. Excellent service. Next day delivery. Have been feeding my dog the small bites for over a year now and he is thriving. 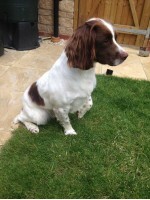 His coat is beautiful and shiny and he is the picture of a healthy, happy dog. Happy dog, very happy owner! I have been feeding our Westies with the Premium Grain Free food from Sneyd's for quite some time now, having met them at a dog show. I have to say that our boys are in excellent condition weight wise and health wise. 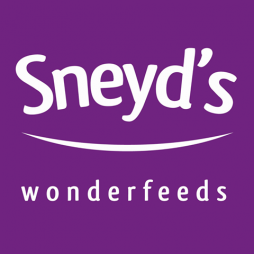 I have had cause to contact them with questions in the past that have been raised by people outside of Sneyd's and I have to say that Sneyd's have been amazing! Giving me thorough scientific information and even contacting outside resources to confirm and allay any fears I had. You really can't get any better than these guys and this food :) Plus our boys LOVE IT! Top quality product loved by our Soft Coated Wheaten Terriers who would jump in the bag given the chance. Excellent feed, much loved by my Beagle Monty. Ordered on the Friday arrived on Monday morning. Super speedy delivery. He loves the food both dry and wet, my cats have even tried it out, much to Monty's disgust.Highly recommended by me and Monty. Excellent customer service when I called with a question and super quick next day delivery, faultless. Plus my girl loves the food and it doesn't cause any problems with her skin or coat. Happy dog, happy dog owner! Couldn't be happier with their products. 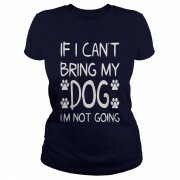 A wide range is available to suit all our furry friends. The food is good quality and reasonably priced, not to mention that the deliver is exceptionally quick! Honestly couldn't be more happy with their products. 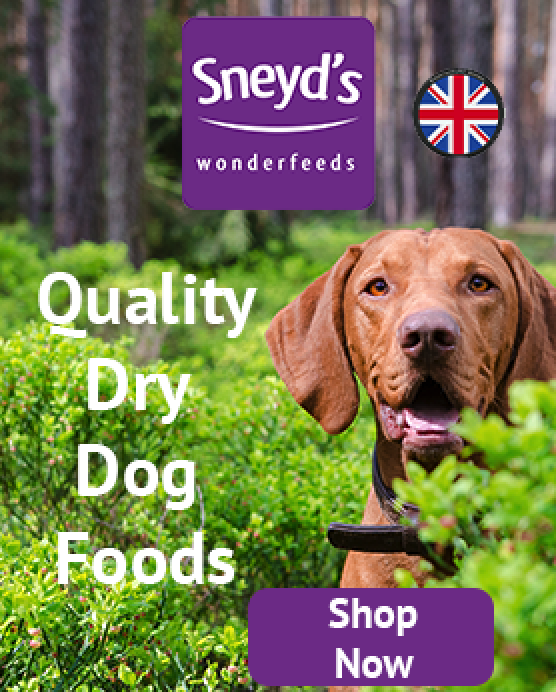 Good value; good customer service; next day delivery when my local supplier is out of stock; dog's coat shiny and teeth clean..
My German Shepherd loves Sneyd`s dog biscuits, before we changed her food, she had itchy dry skin. Would hardly eat anything. I have a Yorkie who's allergic to beef & a very fussy Jack Russell so I knew I wouldn't be able to get the small bites, I do wish they were in other flavours other than beef as I'd definitely give them a try. I went to the All About Dogs Show at Newbury Show Ground & got talking to one of the sales people on the Sneyds Wonderdog stall & he suggested trying the premium turkey & rice, duck & rice & the salmon. I bought the turkey & the duck but had samples of the salmon but that didn't go down too well. The size of the biscuit isn't too big which is great & every scrap is polished off. Really happy with the product and Sneyds customer service. Delivery is excellent. Our Pug love the Wonderdog Small Bites. This is her second 10kg bag, before that she was on the Puppy Mix, another great product. Had some issues with the delivery of the first bag but Sneyd's has got their courier sorted this time. We mix a little water or gravy with the kibble, and its soon gone. A good balance mix and great value. Puppy pack from Breeder included Sneyd’s product. 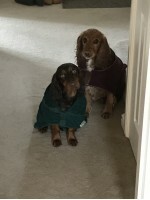 Tried another brand due to no local stockist of puppy food but very quickly returned as coat certainly deteriorated. 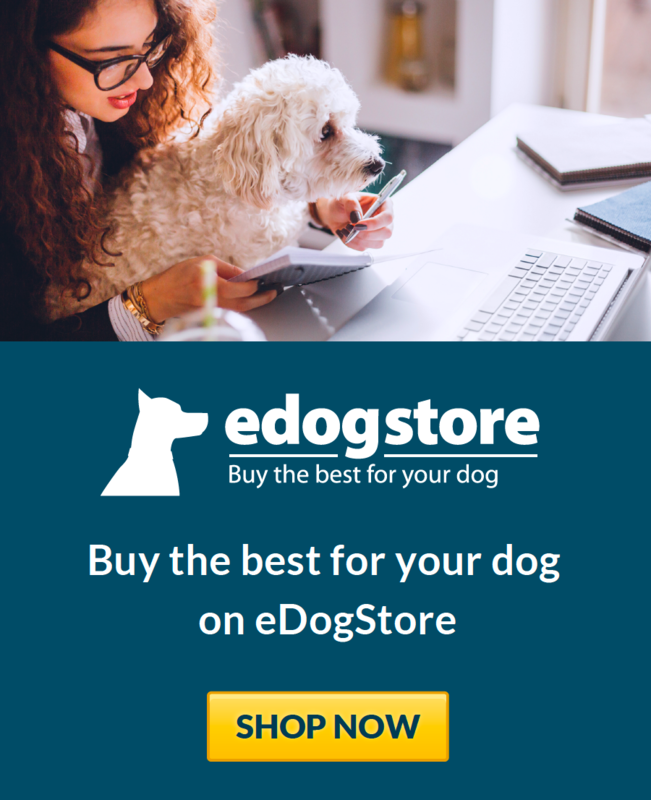 Dog loves it and it certainly loves the dog as transitioned through to big boy food - very fit and healthy, With fast and free delivery and great service this is just perfect!!! I recently discovered Sneyd's at the great Yorkshire Show and after chatting to the representative, I decided to give the food a try that was very similar to what my dog currently has. So far she absolutely loves it, the delivery is quicker than my previous provider, their customer service has been faultless and Sneyd's is slightly cheaper. Win win! Customer service is second the none- that kindly sent me free (and generous) samples which my fussy dog loved- so I ordered more. And an issue with delivery was resolved so incredibly quickly. First came across Sneyds at a Country Fair, a couple of years ago. I spoke to the guy on the stall for about 10mins, and came away with a sample pack. Since then it is the only complete food that I use. The ingredients are good, it’s consistent, it’s great value, my dog loves it, and the service is excellent.